As tax season has just concluded and we’ve paid our yearly fees to the IRS, our thoughts naturally turned to other items that are taxing to us. Items such as mowing the lawn, shoveling snow, keeping up a house are burdens to all of us and things many of us don’t really look forward to. However, in many cases, these items can be even more taxing for us as we age. Instead of spending our retirement years enjoying ourselves and doing the things we like such as traveling and enjoying the grandkids or giving back. 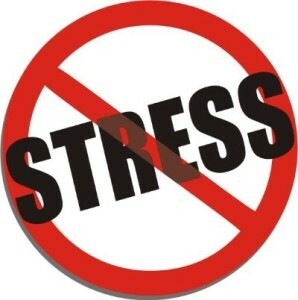 Senior living communities can help minimize those elements in our lives that cause us stress. But there is more to senior living than just retirement homes or senior housing. At John Knox Village East, we combine the ease of maintenance-free living with the security of on-site healthcare. Choosing to live at a maintenance-free community like John Knox Village East can reduce some of those taxing responsibilities in your life. By being a part of our community and you’ll get your apartment cleaned, your flat laundry laundered. You’ll also never have to worry about changing a lightbulb or getting an appliance fixed as our on-site maintenance staff takes care of those things for you. You are able to live in an independent living apartment and come and go just as you would in your house, but with many of the daily chores taken care of for you. With all these amenities in our senior apartments, you’ll have all the comforts of home without the worry and stress of home upkeep. You’ll also have the security of on-site healthcare should you ever need it. In some cases, it is the worry of the unknown that taxes our minds and keeps us from enjoying ourselves. Do you ask yourself what will happen if I can no longer take care of myself? What will happen if I need long term health care? Will I need assisted living? Will I need higher levels of care? Who will take care of me? What will it cost? By being part of our Life Care Community, you’ve taken steps to have a plan in place so that you know the answers to these questions before you develop a healthcare need. Worry can also present itself in more day to day applications. Do you ask yourself what will happen if I can no longer drive? How will I see my friends? Will I have to wait for someone else to come visit me? How will I get to my appointments? Who will take me? By living at John Knox Village East, you’ll know what will happen in these scenarios too. A friend is as simple as a walk down the hall, to our dining room or to our friendship lounge where you will run into several friendly faces or come across a group playing a board game or playing a hand of cards. In addition, as one of the most affordable and highest-rated retirement communities around you’ll get financial peace of mind as well as the knowledge that you’ll receive the highest quality healthcare at a predictable, affordable rate. Stress, worry and isolation can have devastating consequences on our lives. We are designed to be around other people and enjoy their conversations. You can read some interesting research at this link: https://www.whereyoulivematters.org/aging-isolation-and-the-value-of-connectedness/ to find out more about the impacts of isolation. There are also other resources on the www.whereyoulivematters.org site that speak to maintaining overall wellness as we age. There are many different aspects to being well. Elements such as physical wellness, social connectedness, intellectual opportunities, occupational opportunities in the form of service or work, emotional wellness by reducing stress and staying positive and spiritual wellness are all characteristics of a healthy life. Through our many different activities, amenities and services, we help seniors maintain a well and balanced life. Call us at 660-584-4416 to find out more about the ways we help people reduce the un-necessary items in their life that tax them and cause them worry. We’ll also share with you how we help people build up those positive elements of life that maintain wellness and reduce worry and isolation.